Meet Carolyn Opps. 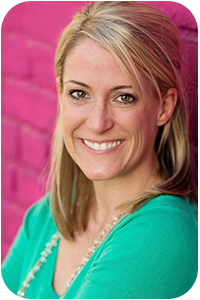 She is the Co-Founder and Program/Volunteer Coordinator with Austin-based Partners in Parenting, an organization that coordinates neighborhood-based support groups for new parents. Carolyn is a master-degreed teacher who has lived and traveled all over the world. After settling down and starting a family with her husband in Austin, she and her mother’s group friend, Krista Miller, decided to launch a non-profit organization aimed at providing much-needed support for moms and dads with new babies. We were eager to talk to Carolyn and learn more about PIP because its mission is so incredibly aligned with BPP’s focus on self-care and parental support. BPP: Can you share how the organization, Partners in Parenting (PIP) was founded and what its mission is? CO: A little over a year ago, Krista and I got together so that our kids could play, and decided that Austin was in need of neighborhood-based support groups for new parents. When we had our children, we looked for an organization that would help connect us with other new parents, but were unable to find what we were looking for. Krista, having been raised in Seattle, knew about a nonprofit there that had been creating neighborhood based support groups for over 30 years. We decided to give them a call, and they were very open to us implementing their program in Austin. While PIP is an independent nonprofit, the format of the groups is based on a model that has worked well in Seattle for many years. Our mission is to enable families to meet the challenges of parenting through mutual support and shared information, so that no new parent feels isolated, ill-equipped, or uninformed during their parenting adventure. BPP: How did your own experience as a parent influence your decision to start PIP? CO: I think I took every prenatal birthing class available to prepare for labor, and maybe read a book or two to prepare for parenting. While the classes were valuable, the best takeaways were the connections I made. I met Krista (the other PIP co-founder) and five other amazing moms-to-be at the classes. We all realized that we were due in March, so we decided to form the March Mamas group. We met once before we delivered, and about a month after having our babies. We began meeting weekly for play-dates, and monthly for mom’s night out. The advice, empathy, and camaraderie that I received from this group of women were life changing. Now that our children are all turning 3, we still see each other often and remain a strong influence in each other’s lives. My experience with my mom’s group helped to ease my transition into parenthood, and I felt that others should have the same experience. BPP: When can parents join a PIP group? 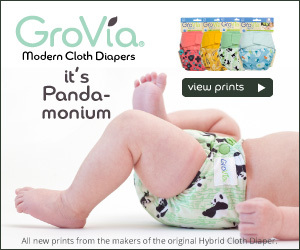 Do they have to have a newborn? CO: Parents can join a PIP group as soon as they find out they’re pregnant up until their child is 9 months old. 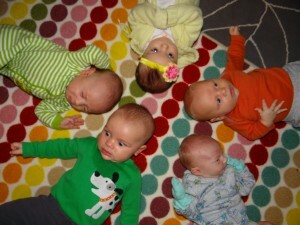 Our Newborn PIPsqueaks groups are for babies 0 – 4 months old, and our Baby PIPsqueaks groups are for babies 4 – 10 months. In order to give us plenty of time to find a group for you, signing up before having the baby is strongly encouraged. We generally try to have at least four participants in a certain neighborhood to create a group, so having some lead-time to organize the groups and find a facilitator is helpful. BPP: How often do groups meet and what typically happens during a meeting? What sets them a part from a regular play group? CO: The Newborn groups meet for 90 minutes each week for 12 weeks, and the Baby groups meet for 8 weeks. Each session starts with the facilitator asking the parents to share highs and lows from the past week. The group then takes 10 minutes to learn some new songs to sing to the babies. Parents have time to talk during a food break, and then the final 45 minutes is spent discussing a particular topic for the week. We always begin with sleeping and eating as our first two topics as they are definitely the most perplexing and pressing. We have a list of guest speakers, who are experts in certain areas, who sometimes join the group to discuss the topic about which they are knowledgeable. A PIP group is different from a play group for a few key reasons: The groups are led by a trained facilitator, the sessions are structured to include specific topics to help the parents, and the work of finding a group of like minded new parents to connect with is done by PIP. BPP: Now that you have been coordinating PIP groups for some time, what do you see as the greatest benefits for the parents? How about the babies? CO: By far the greatest benefit of joining a PIP group is the connection you make with other parents in your area. Watching parents find their “village” is genuinely satisfying. The moms and dads in our groups have continued to get together and bond long after their PIP session has ended, which is has been our best determinant of success. I also think that parents who are able to feel that they aren’t alone in their struggles better adapt to the challenges they’re facing. To hear a mom say, “I cried on the way over here”, and other moms join in to say, “I cried for no reason today” allows them all to validate their feelings and to know that what they’re experiencing is perfectly normal. The benefit to the babies is indirect but just as important. PIP is addressing the needs of new families based on the Five Protective Factors of Family Wellness: social connections, secure attachment, parental resilience, knowledge of parent and child development, and concrete support. We believe that when families are strengthened, the overall health of the community is improved. That includes the children! Essentially, happy parents = happy children. BPP: Are the groups dad-friendly or are they targeted primarily toward moms? CO: PIP groups are absolutely dad-friendly! We offer daytime and evening groups. The daytime groups are for moms, and the evening groups are for both partners. BPP: PIP is a non-profit organization. How do you get your funding? Do parents pay to participate? CO: We receive our funding from donations, grants, fundraisers, and program fees. Participants pay $150 for the Newborn group, and $100 for the Baby group. We offer scholarships to families who are not able to afford the program fee. To learn more about why we charge a program fee, please check out the FAQ section of our website. BPP: Can you share a story from a parent who has really benefited from involvement in PIP? BPP: If you had to give one sanity-saving tip to a new parent, what would it be? CO: Remember to take care of your needs! It’s easy to fall into a baby-centric world, but self-care is a necessity. It’s hard, but take an hour or two to do something that’s just for you (a hair cut, shopping, quiet time reading at a park, etc.). You don’t have to do it all yourself, so bring in your village to help! Thank you to Carolyn for filling us in on this amazing resource that is available in the Austin community. Check out the Partners in Parenting website to learn more about their organization and find out how you can register for one of their neighborhood-based groups. You can also follow them on Facebook or Twitter to stay in the loop. If you don’t live in the Central Texas area, and are curious about similar organizations in your area or state, check out this link.